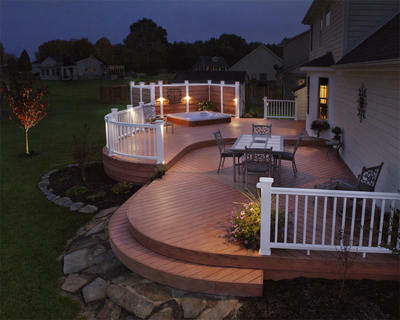 When you’re planning your new deck, consider adding lighting to the design. 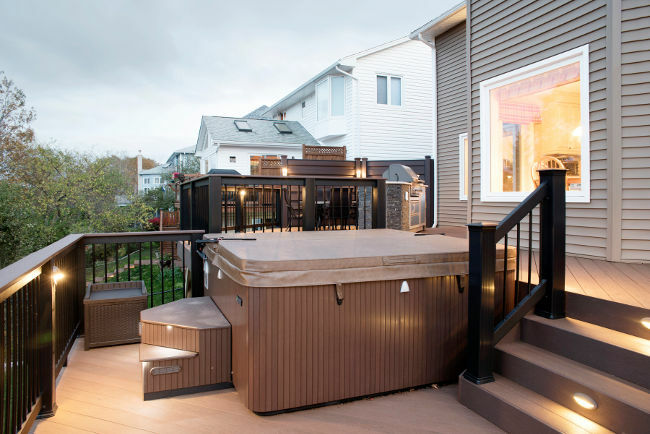 Not only does it give cozy ambiance, but it provides safety by illuminating any trip hazards. 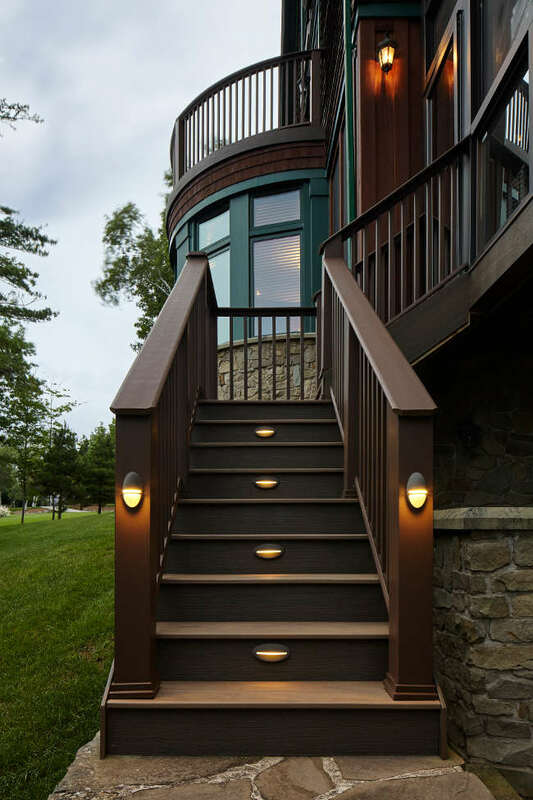 Whether the lights are mounted flush with the deck surface, in the stair risers, or along the railings, we put light exactly where you need it, without spoiling the nighttime view from your deck or the neighbors’. We also offer smart options, like timers or remote dimmers to give you complete control.